To download the entire Scheme of Goods database choose:comma delimited fileExcel file and select Save File. During America’s colonial period, large-scale planters like George Washington participated in the consignment system in order to sell their tobacco and buy the goods that decorated their homes, outfitted their kitchens, and flourished in their gardens. George Washington and his peers consigned, or handed over, their cash crop to agents in England like Robert Cary and Company in exchange for the credit they used to buy imported English products. Individuals who needed a place to sell their tobacco and who desired to enter into the consumer revolution by buying goods for person and place had a different option – the direct trade system. Smaller scale planters in Virginia and Maryland sold their harvest to Scottish merchants whose stores dotted the shores of the Potomac River by the 1740s, like the one operated by Alexander Henderson in Colchester, Virginia. Merchants extended credit to the store’s customers, just like Washington’s English agents did. Small planters now had a world of goods catering to their needs open up in the form of these Scottish-run stores. Additionally, customers could purchase goods using cash or barter. Planters like George Washington did occasionally visited their local stores for certain items as did enslaved individuals who were either running errands for their masters or making purchases of their own. 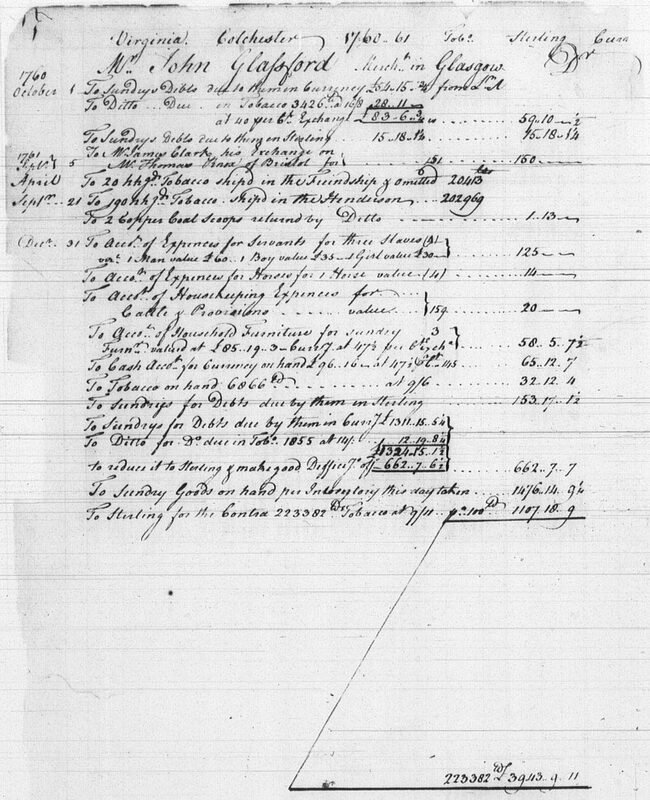 The Alexander Henderson Scheme of Goods project allows researchers to explore the colonial consumer world by searching the 2,328 orders for items that the merchant intended to stock in his store located in Colchester, Virginia. 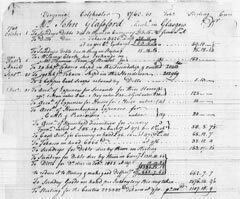 The database encompasses 15 Schemes of Goods recorded in the years 1758 through 1764. Schemes of goods were common planning documents that represent the types of merchandise to be sold in the store in the next year. The Schemes of Goods were recorded in Alexander Henderson’s letterbook housed at the Alexandria Library in the Archive and Manuscript Collections. The letterbook has been transcribed and published (by Charles and Virginia Hamrick, 1999, Virginia Merchants: Alexander Henderson Factor for John Glassford at his Colchester Store (Fairfax County, VA), His Letter Book of 1758-1765). The information contained in this database can either be searched on this website or downloaded. Before using the data, consult our FAQs, search tips, and manual for important details on the project's development and research potential. ©2012 Mount Vernon Ladies' Association. All Rights Reserved.